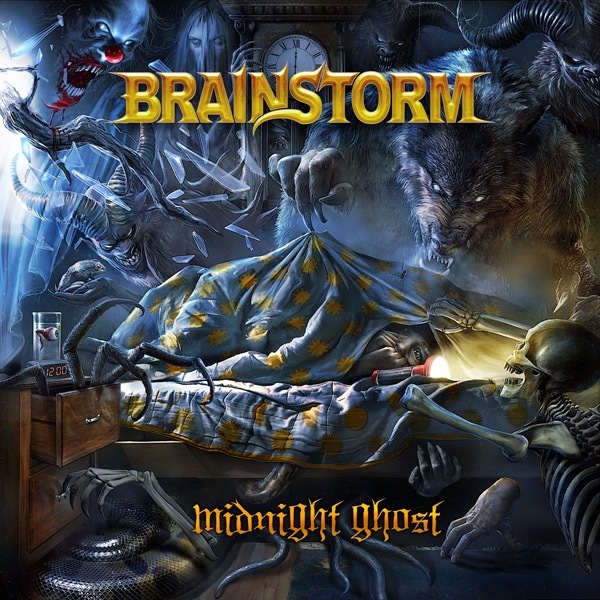 German power metal band Brainstorm have released a lyric video for the new single “Revealing The Darkness“, featured on their new album Midnight Ghost, scheduled for release on September 28th. Watch below. Midnight Ghost was produced by Seeb Levermann (Orden Ogan, Rhapsody Of Fire), the cover artwork was created by Gyula Havancsak (Annihilator, Stratovarius). The album will be available as CD, CD/DVD Digibook, blue vinyl (limited to 400 units), yellow/blue splatter vinyl (limited to 100 units and exclusively available in the AFM webshop), and box set.